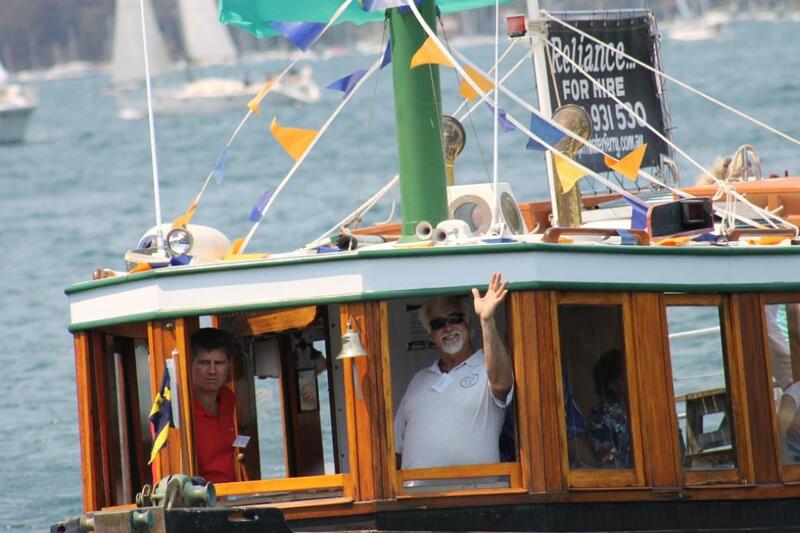 Mark Farrell and MV Reliance taking part in the RMYC of Newport's Open of Boating Season celebrations, 2012. AJG photo. 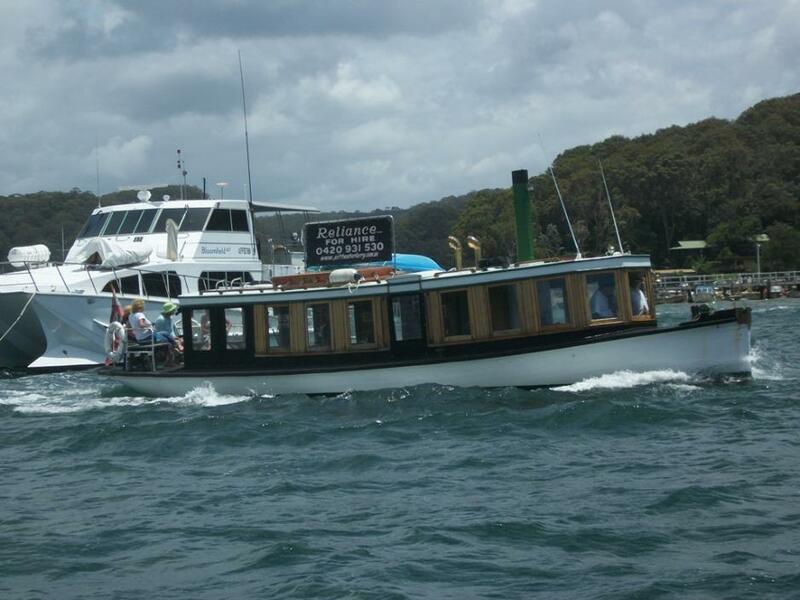 A grand old lady of Pittwater is celebrating her centenary in 2019 - the MV Reliance. Anytime there's anything happening on Pittwater - the Scotland Island Dog Race of a Christmas Eve, the Woody Point Yacht Club Gentleman's Launch and Putt Putt Regatta, the Careel Bay Marina Winter Festival or the Royal Motor Yacht Club's annual Wooden Boat Festival, which she will be a BIG part of again in this, her 100th year, or one off events like the Big Tow to raise funds for cancer research, Mark and Jools Farrell and the MV Reliance are there, ferrying people or being amongst the fun. Mark bought MV Reliance 10 years ago. She had been at Lane Cove for 16 years prior to then, taking people out on Sydney Harbour. "It's older than me and makes me feel young." Why did you buy her? "Possibly she's a having a mid-life crisis response". MV Reliance is carvel planked with New Zealand Kauri and copper sheathed below the waterline. The MV Reliance was built by Goddards of Palm Beach in 1919. William Joseph Goddard had purchased land in 1917 at the southern end of where the Golf Course is now shortly after his father, William Reuban Goddard, also a master boatbuilder, passed away in 1916. She was commissioned for the Hawkesbury River passenger and mail run from Brooklyn to Wisemans Ferry via Spencer. Pauline Deas: The Reliance is looking fabulous now. 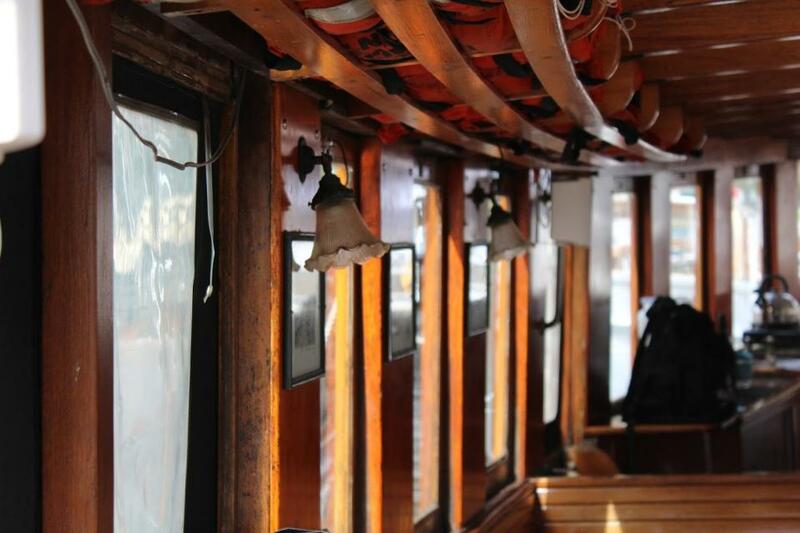 My mother told me that when she was new, there were two mirrored pictures on the wheelhouse and toilet doors. One was an Arnott's Sao Biscuits mirror, the other Gargoyle Oil. A memorable trip over the old Peat's Ferry mail track, which is now strewn with boulders, overgrown with saplings, and in parts sunken in bogs and swamps, was made during the weekend by a party of three, the pioneers of the new direct route from Sydney to Newcastle. The speedometer registered 39 miles for the journey; but it took two days to do it, even though four miles of the registered 39 were skids. Once they were bogged to the running boards. Many times they had to cut down saplings to make a passage, or leave the car and break stones with the mawls they carried, to get the car through. The party consisted of Messrs A. W. Deas and Fred Hawkins, of Windsor, and W. E. Phegan, of Gosford. The car was a special Buick Six, belonging to Mr. Deas, a member of the N.R.M.A., who was the driver. Leaving Kangaroo Point on Saturday morning, they drove to the Peat's Ferry crossing place. A pontoon was obtained from a boat shed, and Mr Deas' launch towed the car across. For the first few miles on the other side they travelled with little difficulty, but their troubles began when they ran into thick scrub and rocks, and were faced with stiff ascents. Four miles from Peat's Ferry they saw no hope of getting further for the day, and struck camp. They had no provisions; so they spent what should have been the meal hour cutting scrub to make a track for the car in the morning, working with the aid of headlights. Early on Sunday they were off again, but several times the car was bogged. Mud was dug away, stones were laid as a foundation for the jacks, and the car was levered out each time. Once, all four wheels were down to the axels, and it took three hours to get out. They carried axes, picks and mattocks, and a maul for breaking stones, and all these tools were used at times to clear the track. Their next trouble was a series of swamps, but here the reeds made sufficient support for the car. Once the car hurdled a boulder, rose four feet from the ground, and landed at right angles to its course. Still they kept on. In the 1930's MV Reliance ferried workers building the road to Wisemans, to camps at Haycock mountain. MV Reliance with the Dea's Ellaroo during the 1930's. In 1942 the mail contract was lost to Les Smith of Kincumber. The Reliance was sold by Tony Deas to his brother, Vince Deas. It was later purchased by Mr Tremain and taken to the Nepean, to be skippered by 'Count' Lance O'Meagher, as an excursion boat. After WWll, when she was commandeered by the Army and a wheelhouse was added, she was brought back to the Hawkesbury by Vince Deas as a passenger and cargo boat. The Reliance with Wheelhouse added, 1945. The Reliance was then sold to George Cook of Mangrove Creek. Mrs Cook continued The Reliance service after her husband's death until the old boat fell into disrepair. Reg Handy from Mooney Mooney went into partnership with Mrs Cook and repaired her. He used her as a passenger boat, carrying people from the Tropicana, Wilberforce for daily trips. She was vandalised while moored at Wilberforce and taken back to the Lower Hawkesbury, and sold by Mrs Cook for £3,000. She was sold to the Outward Bound Movement. In 1972, the Outward Bound Movement was transferred and Holiday Camps of Australia purchased the property at Fisherman's Point and the boat. MV Reliance then went to the Knox Grammar School. Warwick Deacock, first Director of the Outward Bound School, (founded in 1941, to try to ensure the survival of young sailors in the North Sea), adopted Fisherman’s Point as the Australian home base from 1959 until 1973. Knox Grammar purchased the property in 1973, for the boys to work towards The Duke of Edinburgh Award. In 1977, members of the NSW Outward Bound ex-Students Association organised a canoe race along the river where they had trained. The 111km race raised money for medical research. The first race attracted 250 paddlers and raised $8,500. Now the race attracts more than 600 paddlers and raises annually in excess of $350,000. The MV Reliance received a major refit and serviced Knox Camp on Fisherman's Point till 1995. Note: Mark Farrell attended Knox from 1966 - 1978, OKG78. Sold to the previous Guardian, Bill Moseley, MV Reliance moved to Sydney Harbour and spent 16 years on the Lane Cove River, taking passengers up to the weir and river park until 2009. While he had her Bill made a new tallow deck of 40mm by 22mm planks that had been coved out on the underside to resist warping. In 2009 Mark Farrell purchased her and she came back to where she had been launched from. Today she is available for hire, and has served as the perfect venue for weddings, birthdays or special events. She has capacity for 30 passengers plus 2 crew but numbers around 20+ allows ample room in all weather. 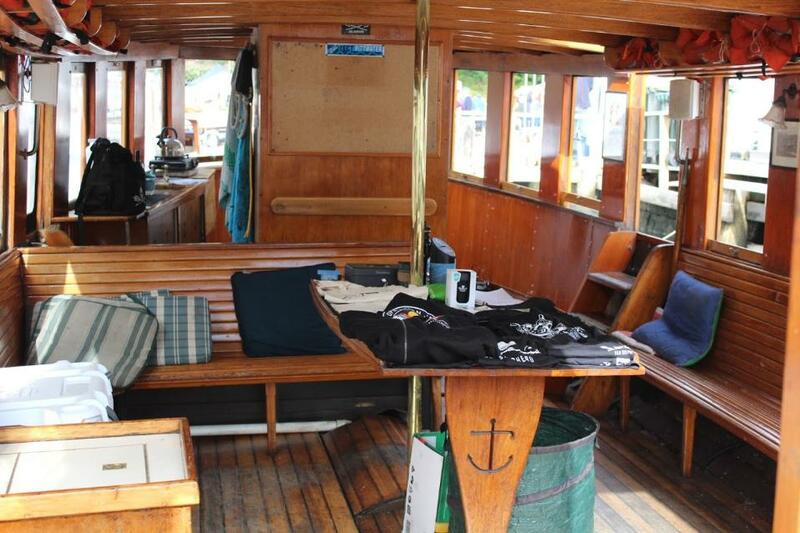 MV Reliance offers the classic style of the locally built 1920's estuary ferry with lots of varnished timber, comfortable seating and toilet washroom, open and spacious for entertaining, CD and iPod sound system, large iceboxes for drinks and a central table for food presentation. You can bring your own picnics or catering can be provided on request. 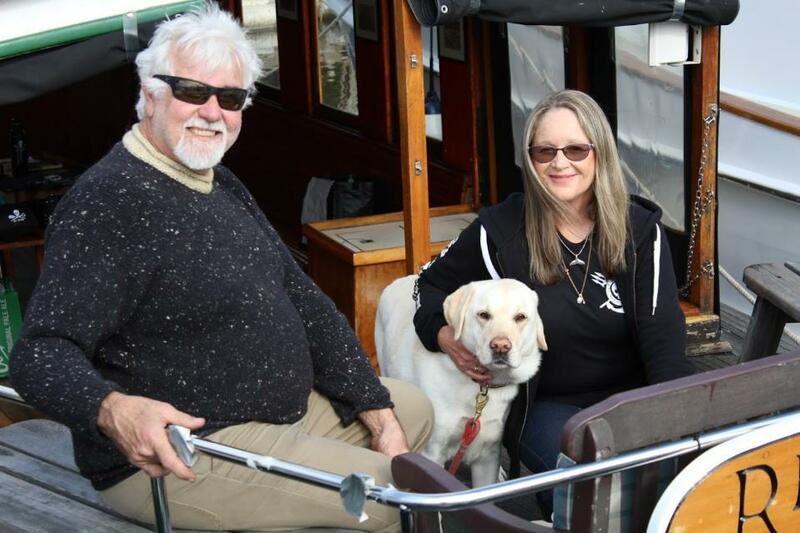 Based in Pittwater, but able to cruise the calm waters of the Hawkesbury River and Ku-ring-gai Chase National Park there are many options available for a special day out on Broken Bay. With a shallow draft and stable easy access, she is able to access most wharfs on the many bays, beaches and private waterfronts in Pittwater, including the Basin, Newport, Palm Beach, Scotland Island, Bayview, McCarrs Creek and Church point. In the Hawkesbury river, starting from Brooklyn, MV Reliance cruises downstream into Cowan creek; visiting Refuge bay and America bay, Cottage Point, Jerusalem bay and Smiths creeks to Bobbin Head all within the Ku-ring-gai Chase National Park. Upstream from Brooklyn, the Hawkesbury river beckons and it is possible to reach locations such as Peats Bight, Spencer, Berowra and Wisemans Ferry in a day. DOWAGER of the Hawkesbury River, the ferry M.V. Reliance, which has plied her daily way from Spencer to Brooklyn, to Spencer again, for more than 30 years, skippered by Emanuel Deas, of Spencer. River folk can set their clocks by her. MV Reliance at Woody Point Putt Putt Regatta, 2012. Photo by A J Guesdon. Anne Howard. M V Reliance. Pittwater Online News, November 2012. TROVE - National Library of Australia. A memorable trip over the old Peat's Ferry' mail track, which is now strewn with boulders, overgrown with saplings, and in parts sunken in bogs and swamps, was made during the week-end by a party of three residents of the Gosford district, the pioneers of the new direct route from Sydney to' Newcastle. The speedometer registered 39 miles for the journey but it took two days to do it, even though four mile of the registered 39 wore skids. Once they were bogged to the running boards. Many, times they had to cut down saplings to make a passage, or leave the car and break stones with the mawls they carried, to get the car through. The party consisted of Messrs. Deas, Hawkins and Phegan. The car was a special Buick Six, belonging to Mr. Deas, a member of the N.R.M.A., who was the driver. Leaving Kangaroo Point on Saturday morning, they drove to the Peat's ferry crossing place. A pontoon was obtained from a boatshed, and a launch towed the car across. They carried axes, picks and , mattocks, -and a' maul for breaking stones, and all these tools were used at times to '.clear the track. Their next trouble was-, a series' of swamps, but here the reeds made sufficient support for the car. 'Once' the car' hurdled a boulder, rose four feet from the ground, and landed at right angles to its course. Still they kept on. On Sunday, night they reached Gosford, tired and hungry, but triumphant. Gosford gave them a great reception, for the question of a new direct road to Newcastle has been an important subject in the district for years, and they were the first to get through on one of the alternative routes, which it is estimated, will cut 60 miles off the distance between the two cities. The car that did it just after landing at Peat's Ferry. In view of the controversy that has been taking place with regard to the re-conditioning of the old Peat's Ferry-road and making it the main road to the north, the following article by Mr. J. A. Ferguson, B.A., L.L.B., which was read before the Royal Australian Historical Society on April 28, 1925, should provide interesting reading. Next week we will publish another article, 'The OId Peat's Ferry- road,' by Mr. Frank Walker. The history of old Peat's Ferry-road inevitably carried the investigator back to a period antecedent to the existence of any formed road, or even the conception of such in any official mind. The creation of a road way, especially one requiring such difficult and costly construction through precipitous country, necessarily presupposes the existence of settlers with needs to be served by transport and travelling facilities. The latter dying, and the selfish Governor Darling falling in with an obliging Surveyor-General, they together concocted a road to their family estates, over by Wiseman's punt to the colonel's and captain's family bridges, and friendly estates, which cost this colony ninety thou-sand pounds — a road which few go over to Maitland or, Newcastle; or His Excellency, Governor Bourke would have taken a new route; and as to the inhabitants of Brisbane Waters, it is making the distance of thirty miles by land to Sydney better than one hundred and fifteen miles by the Wise-man's punt, over an impassable range on a trackless road, where neither dray nor beast can be driven over. Many thousands of cattle have been killed or lost in the fruit-less attempt of crossing the mountain, the best path of which only permits one beast to pass, and if turning round kills itself, and those in the rear; then the hundreds that have been drowned by the bad conditions of the punts. From this disappointment the town allotments are not worth looking after ..... and the principal land-holders of Brisbane Waters reside in Sydney ........ leaving that delightful lake a deserted village, inhabited by rum-drinking shingle-splitters, and I am sorry to say, murderers. . . . . The best fortune yet made in the district has been made from the sale of rum. 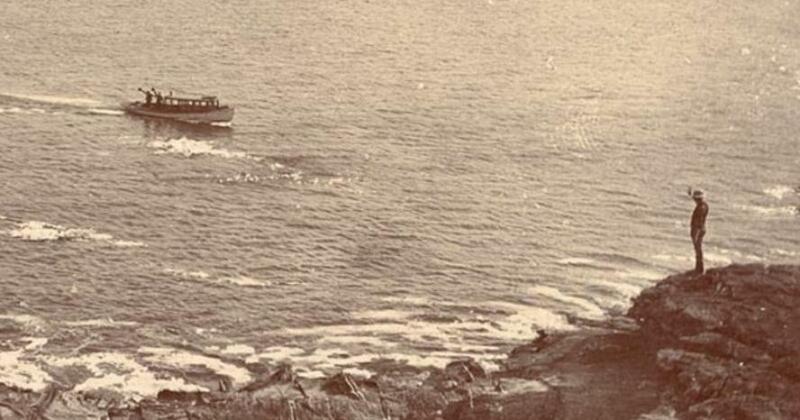 He points out that a direct road to Sydney would increase settlement, and so compensate for loss of passengers by increased shipments of produce, the writer knowing many "who would go fifty miles round to avoid the motion of any boat on the main ocean." A contemporary pen picture of the deplorable state of the road from Sydney via Wiseman's Ferry is preserved in Lieutenant Breton's "Excursions in New South Wales, Western Australia and Van Dieman's Land' (London, 1834), p. 78. The road on approaching the river is unfinished and in a very ruinous condition. At one spot, the side of it, built up with large stones, has entirely given away so as to leave a path only wide enough to admit of one vehicle, and of rather a dangerous kind. The river is two hundred and fifty yards in width, and thirteen fathoms in depth; and the distance from the sea is perhaps, forty miles in a direct line. The inn stands on a romantic and interesting spot, but there is far too little space between the Hawkesbury (and its branches) and the mountains to admit of much cultivation. We crossed over in a punt and immediately commenced the ascent of the Blue Mountains by a carriage road extremely creditable to the person who planned it. . . . . The scenery is mountainous to the Wollombi Brook, thirty-five miles, and there is not an inhabitant of any kind. The problem of a more direct and convenient route to Sydney for the settlers of the Lower Hawkesbury and north-eastern areas had to be solved. George Peat solved it by the establishment of his famous ferry, thus, while benefiting himself directly, also proving himself a public benefactor. It is fitting therefore, that any account of the road itself should be prefaced by a biography, however incomplete or inadequate, of this sterling pioneer. George Peat, the son of Charles Peat, was born in Sydney in the year 1792. At an early age he was apprenticed to the ship-building trade at the Government Dock-yards, Sydney. After completing his apprenticeship he made a brief visit to India. Returning to Sydney he commenced his trade as a shipbuilder, and resided in Kent street. His first wife was Miss Blaxland, and the issue of this marriage, two sons; one died in infancy, but the elder, George, lived to the age of twenty-five years. He went to New Zealand, and it is stated was killed by the natives. His second wife was Miss Frances Ternen, and by her he had issue two sons and five daughters. One daughter Elizabeth, who was married to the late John Campbell, produce merchant, of Sussex-street, is still alive, aged eighty-five. To her perfect recollection I am indebted for many particulars in this sketch of her father. Though George Peat leased and owned other lands in the neighborhood from time to time, his total holding of freehold and leasehold lands at one time aggregating fifteen hundred acres, these two portions on opposite sides of the Hawkesbury constituted the substantial portions of his holdings. Towards its mouth the Hawkesbury becomes romantic. This part of the river is to Australia what the Rhine is to Europe. It is the river of the artist and the tourist, and a favorite haunt of the yachtsmen. The great bridge of the Newcastle railway crosses it just about the point which divides the river proper from the estuary Bold cliffs rise three hundred feet from the water's edge, their faces of weather-worn sandstone displaying countless tints of red and brown; and great hills, timbered from base to summit, tower above, and are re-produced in the perfect mirror of water below. Reeds grow freely upon any bit of Swampy foreshore, and when a little patch of alluvial soil has been so far built up as to harden and become sweet, the corn grows tall and fair; and at evening or morning, or at any hour of a bright winter's day, there is beauty about the narrowing estuary which pen and pencil seek in vain to depict. The beauty of form, the graceful lines of the, hills, the long water-tongue stretching out into the sea, the artist may depict, but who can paint the soft raiment of atmosphere — that finest of all textures woven by nature out of cloud and river mist, the soft, intangible film that beautifies all the crown and front of the mountain, and as a smile illuminates the human face — the violet lights, the purple shadows, the bands of emerald below and the shield of sapphire above, the river of gold that seems to roll out of the setting sun, and to flood all valleys and crown all hill-tops with every dying day. This is the earliest reference to him which I have been able to find in any directory, and it is probable that his residence upon the Hawkesbury commenced between 1836-1839. At this stage we shall do well to banish from our minds the somewhat common conception of George Peat, as a man furnished with a boat, a windlass, and a rope, or per-haps with long oar or sweep, laboriously ferrying impatient travellers across the Hawkesbury, in much the same fashion as Charon ferried his patrons across the Styx. The true picture is of a vigorous and enterprising citizen having his town residence at 247 Kent-street and journeying at frequent intervals and staying for long periods upon his Hawkesbury lands. The ferry, while it was his private speculation, was operated by assigned servants or hired labor. It is probable that Peat had his first location on the Kangaroo Point side of the Hawkesbury — a part now known as Peat's Bight, where huts were provided for his men and himself, but no residence was erected. At this stage water transport was not involved, but the acquisition of the Fairview Point area, in 1840, brought this question to the forefront. Peat found that if his squatting venture was to succeed he must find means of obtaining a quick and convenient access to the stock markets. A track to Sydney, via Hornsby, or Pearce's Corner, he had no doubt devised while his activities were still confined to the southern bank. The water must now be crossed. 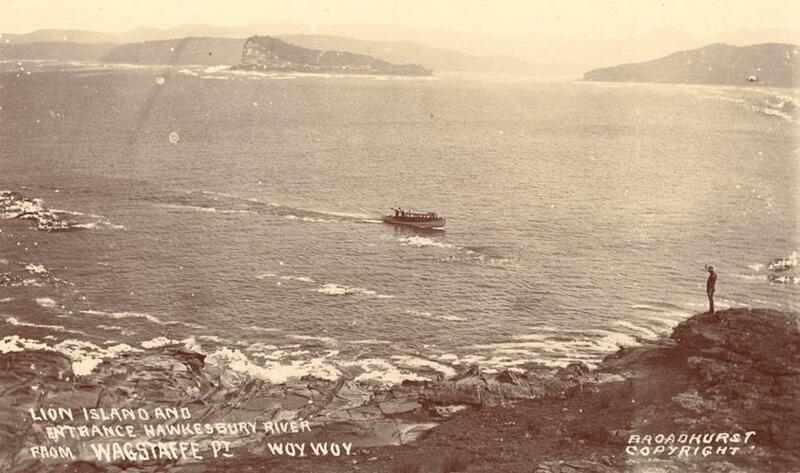 He found other settlers further on towards Wyong and Wollombi, who would welcome a shorter track to Sydney, and who would be likely to avail themselves of any means of communication he might provide. No one could obtain a suitable boat more easily and cheaply than himself. He brings shipwrights or boatbuilders from his yards. Suitable timber is felled upon, the banks of the river, and there the craft for Peat's Ferry is fashioned and launched. The exact crossing-place was no doubt dictated main-ly by the proximity of the opposing shores. Though apparently sheltered by Long Island, it was much exposed to westerly winds and affected by the full force of the tide. In a letter of Deputy-Surveyor-General Perry, dated February 10, 1850, and preserved in the Mitchell Library, we get a chance glimpse of this interesting vessel. 'The craft,' he writes, 'used for the transfer of horses and horned cattle is something of the description of 'Chasse Maree,' having sails, but worked by sweeps, and wholly unfit for the purpose intended.' The last words probably refer to the purpose intend-ed by the Deputy-Suveyor-General, and not to the original purpose in the year 1840, or thereabouts, of George Peat. It was a two-masted boat, and was worked by a jolly old jack tar named Jefferson. He was a merry fellow, that Jefferson, and could spin a yarn or dance a lively step-dance with the next fellow. Crossing the Hawkesbury then was a rather slow process. One day I remember it took a whole day to get thirty-four horses across. On one occasion Mr. Osborne, who was taking a mob of horses from Maitland to Melbourne, reached the ferry, and while the horses were being carried across one of them sprang overboard and was drowned. My father salvaged the body and cut it up. The flesh was buried around the fruit trees in the orchard, but during the night the native dogs dug up the horseflesh and devoured it. An official letter, dated January 24, 1854, states that the puntsman receives the punt dues in addition to £50 per annum from the Government. He needs to be a sea-faring man, as so large a punt requires skill. Webster's dictionary defines a 'Chasse Marie' as a French coasting lugger, a species of craft familiar to Perry during his travels in the Peninsula War. It is not within my province to deal with the history of Peat's Ferry-road. I have undertaken merely to show how the made road came to be. It originated in the desire of squatters and settlers generally to find a quicker means of communication. 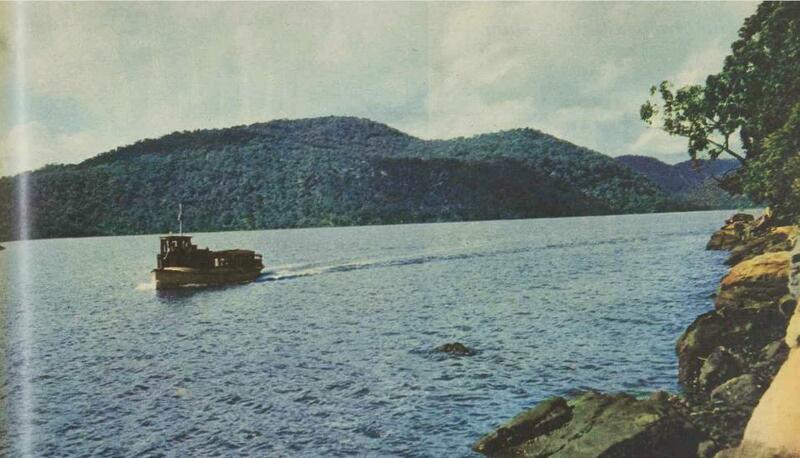 George Peat as a pioneer settler connected the rough track to Sydney with the far bank of the Hawkesbury by his ferry. This connection caused a greater traffic of man and beast along this track via Peat's Ferry to Pearce's Corner, and induced the Government, about 1849, to turn its attention to the survey and construction of a proper road along Peat's line. Peat's skill as a path-finder is proved by the adoption of his line by the official surveyors. In order to go by what I call the New Northern-road, you start from Milson's or Blue's Points to Aaron Pearce's; then from Aaron Pearce's it is about twenty miles on the right to Peat's Ferry on the Hawkesbury; and I understand from Mr Perry who superintended the making of the road that you could drive a coach and four along it. You can then proceed to Wollombi, Newcastle or Maitland, by a much shorter and more level road than the old Northern road. Mrs. Campbell, Peat's surviving daughter, tells of frequent journeys on horseback and by carriage along the road to and from the residence at Fairview Point. Residing in Kent-street, she attended school in Sydney. All long vacations were spent at Peat's Ferry. Open-house was kept for travellers passing along the lonely road. On Sunday the Church of England clergy-man attended at George Peat's house and conducted a service, attended by the scattered settlers of the Lower Hawkesbury. Robert Lowe, afterwards Lord Sherbrooke, often spent a vacation here. Messrs. Hovenden, Hely, Osborne, Milson and E. H. Hargraves (the gold discoverer) were constant visitors on the way to their estates further north. Captain Wiseman, too, called frequently. Peat's photograph dis-closes a tall, dignified, well-set-up figure, clad in the correct broadcloth garb of the period. Mrs. Peat, in turn, is revealed as an attractive lady, maintaining good looks; and happy appearance - in spite of the hardships of those rough pioneering days. The life at Peat's Ferry was, generally speaking lonely, the solitude broken only by infrequent visitors. Assistance was uncertain and remote in the event of trouble of any kind. I quote this homely letter, as it is eloquent of the hardships and loneliness of settlers in this then distant outpost. George Peat died at the residence of his son-in-law, W. C. Hayes, 103 Crown-street, Woolloomooloo, on August 9, 1870, at the age of seventy-eight, and was buried in Rookwood Cemetery. The dwelling at Fairview Point, was burnt down while vacant some time after his death. who departed this life March 23rd. A.D., 1843. Part of the original estate still remains to the Peat relations, and this worthy pioneer's name is immortalised in the famous road and ferry. The lower ferry of the Hawkesbury River crossed on the route from North Sydney to Gosford. It is wider and less safe than Wiseman's Ferry. The route then over-land to Wollombi has long been disused. For some years the upkeep of the road seems to have been neglected and a final blow to the ferry was struck by the opening of the Hawkesbury Railway Bridge. This bridge is the largest of its kind in the Southern Hemisphere, and, as regards its foundations, one of the most remarkable in the world. The bridge across the Hawkesbury River is at a point thirty-six miles north of Sydney, ten miles from the sea, and about two miles from Peat's Ferry. The successful tenderers for the work, which included the design, were the Union Bridge Company of New York, and they commenced operations about October, 1886. The design showed seven spans of four hundred and sixteen feet from centre to centre of the piers, built upon novel caissons. The last of the foundation caissons, which was launch-ed on May 9, 1887, and bottomed on May 11, 1888, was one hundred and sixty-two feet deep, being the deepest bridge foundation in the world at that date. The roadway was completed on April 23, 1889, and the bridge was tested on April 24, by two trains, making up a total weight of nine hundred and ten tons. The bridge was formally opened for traffic on May 1. 1889. It is within the realm of possibility that a traffic bridge will one day span the old crossing-place at Peat's Ferry, and enable motorists to proceed direct to Newcastle and Maitland along a road unsurpassed for scenic effects. (My cordial acknowledgements are due to Mr. Henry Selkirk, F.R.A.H.S., for valued assistance in the course of this investigation). *See, also, Dr. Lang's experiences on the Wiseman's Ferry-road, as related in his 'Historical and Statistical Account of New South Wales,' 2nd Edition, vol. 2, pp. 75 et seq. (London. 1837). The sad announcement of Mrs. Campbell's death 7/8/'25 reached the author as the proof of this article was being corrected. Lion Island and entrance, Hawkesbury River, from Wagstaffe Pt., Woy Woy from album 'Scenes of Hawkesbury River, N.S.W' ca. 1900-1927, Sydney & Ashfield : Broadhurst Post Card Publishers, Image No. : a105349h, courtesy the State Library of New South Wales.